I've been big on slogan t-shirts lately, and with the rise of the embroidery trend, I decided to do something that encompassed both. This is actually my first trial with hand embroidery. It's our first DIY video people! I was a little nervous doing this but since someone told me to not obsess over these details, I think I did just fine. 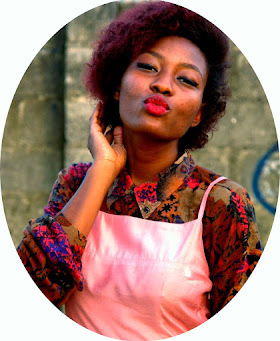 Just in case you missed it, I run a you tube channel with my friend, Seyi and we make fashion lookbooks, fun challenge videos, DIYs and Vlogs (soon to come). Watch the video and don't forget to comment, subscribe for more goodness and give us a thumbs up if you enjoyed the video. If you enjoyed the video, leave us a comment and hit the subscribe button on you tube. We're almost at 100 subscribers, thanks for the love so far! *blows kisses* This is our fourth video, you can watch the first, second and third as well. 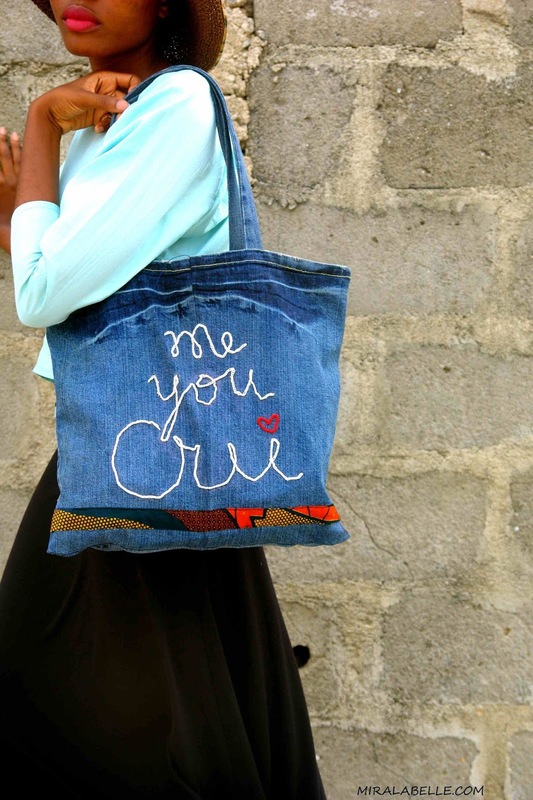 I did a similar tutorial here where I transformed my jeans to a tote bad with a valentine inspired embroidery-like quote in it.